Let’s Do A European Getaway On The Cheap! Who’s With Me? It’s been a long, hard trek since the Christmas break. I don’t know about you, but I need a holiday. Nothing fancy; just a few days away from the grind with a drink in my hand. I’m sure we all feel like that sometimes. And with summer just around the corner, I’m looking forward to a break. We’re lucky enough to have the whole of Europe on our doorstep to choose a fun weekend away! But, before we go, there are a few things we need to sort out. In this post, I’ll quickly help you find that perfect weekend getaway, book it and go. Thanks to the internet, we could even be on the plane tomorrow, heading towards sunnier climates. Of course, this is the big question. When it comes to a weekend getaway, there’s nothing better than discovering a new city. Three days is the perfect amount of time to get lost in the town and see the local sights. We could pick the popular romantic destinations of Paris, Barcelona or Rome. Or we could explore the lesser known European cities like Budapest, Krakow or Prague. 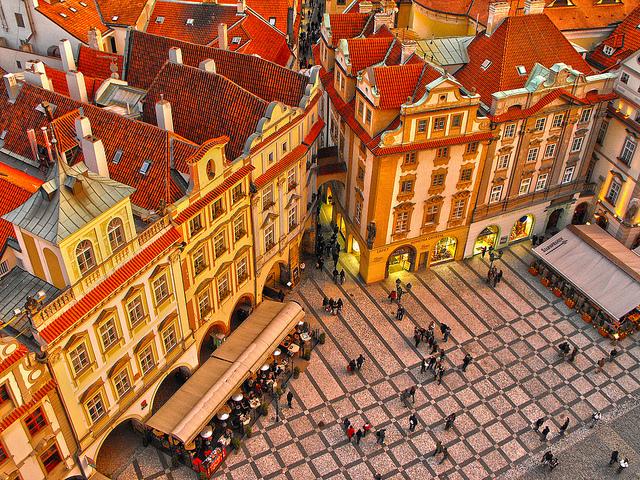 These Eastern European countries are beautiful (and cheap too). Finally, we could set ourselves up on the beaches of Southern France or Spain. By now, we’ve all experienced the budget airline experience. You certainly can’t complain about a no frills Easyjet flight when it costs less than the price of a cinema ticket! There’s nothing better than getting on a plane in the morning and sitting down for lunch in a new country. Europe is also graced with a fantastic rail system. The Euro tunnel will take us to Belgium or France. From there, the inter-railing network extends all the way through to Russia. Backpacking anyone? My new favourite thing to do is rent a small apartment in every city I visit. It’s cheaper than a hotel and they’re usually better located. Using www.housetrip.com, I can find a flat right in the heart of the city. There’s no better way to experience a city than to live there as the locals do. Using rented apartments you become part of the community. You often find yourself in the quirky parts of town too. That’s where you’ll discover the best bars and restaurants. You might even get talking to the locals and uncover some secrets! The trick to a successful weekend getaway is packing light. Forget carrying heavy luggage all over the place. You want to cut those airport lines and make the most of every minute in the new city. Plus, when you travel light, you can change your plans quickly and easily. You can say yes to an overnight trip up the coast or head to a party on the other side of town. So, let’s book that flight and get away from it all for the weekend! We’ll come back on Monday feeling refreshed and recharged to take on the world. See you there!